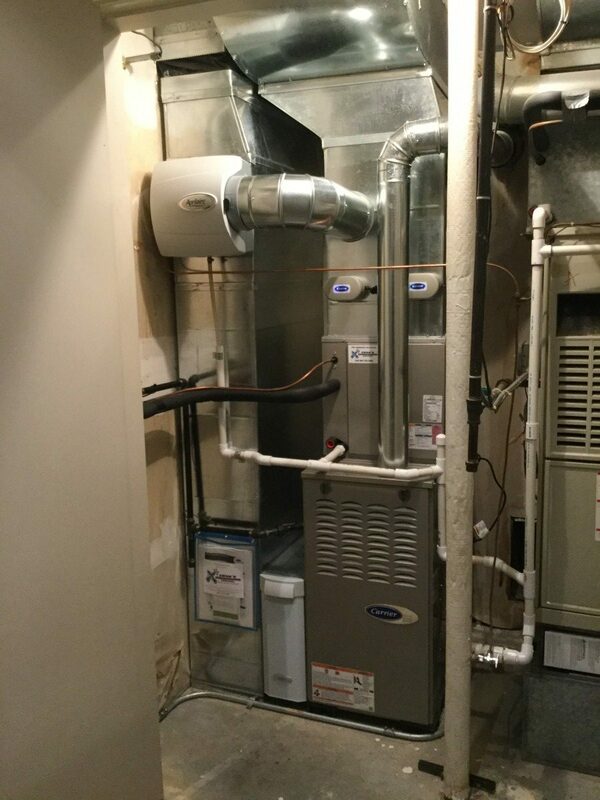 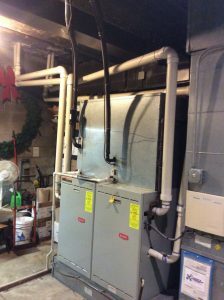 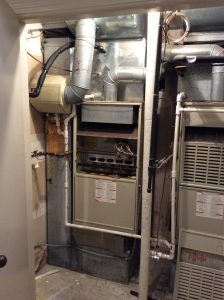 Shown here are the before and after pictures of a custom installation of a new furnace and humidifier for a residential condo unit. 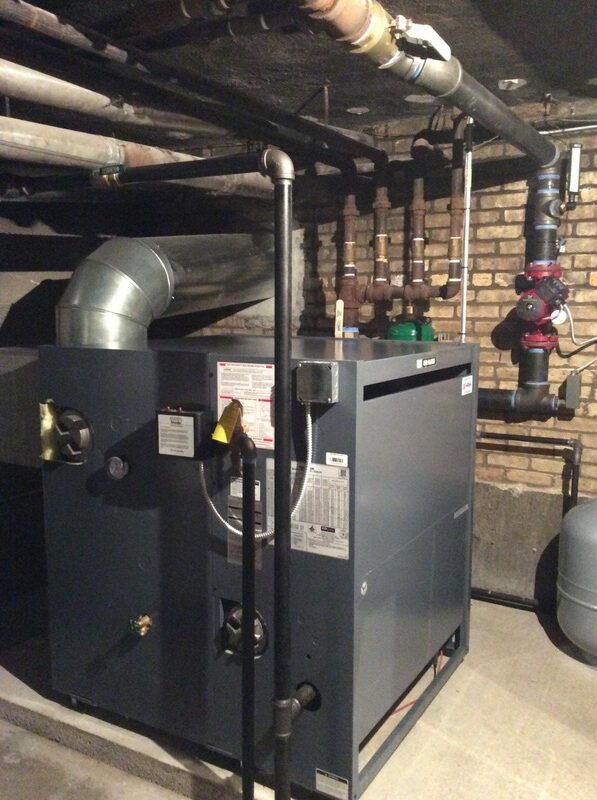 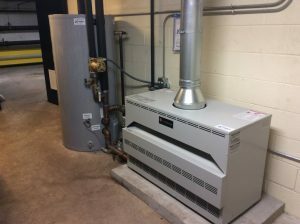 Side by side are the before and after pictures of commercial installation of a new heating boiler in a condo building. 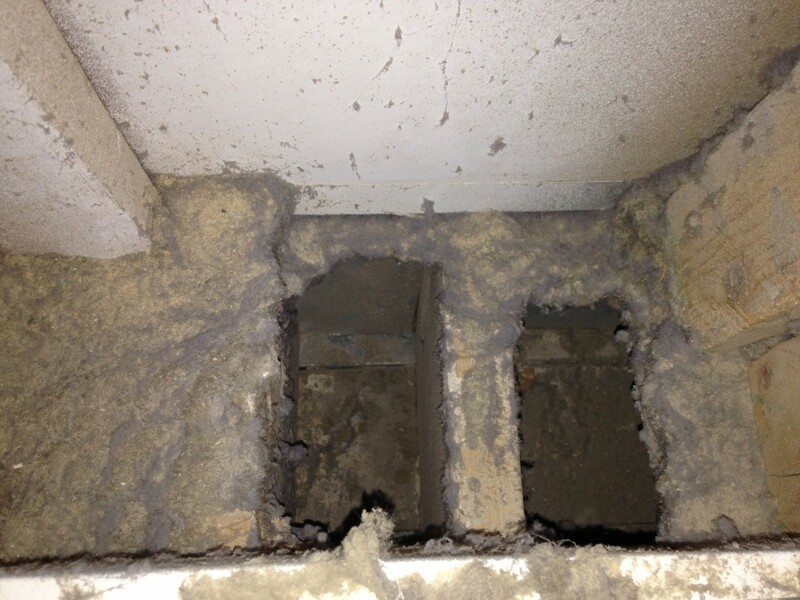 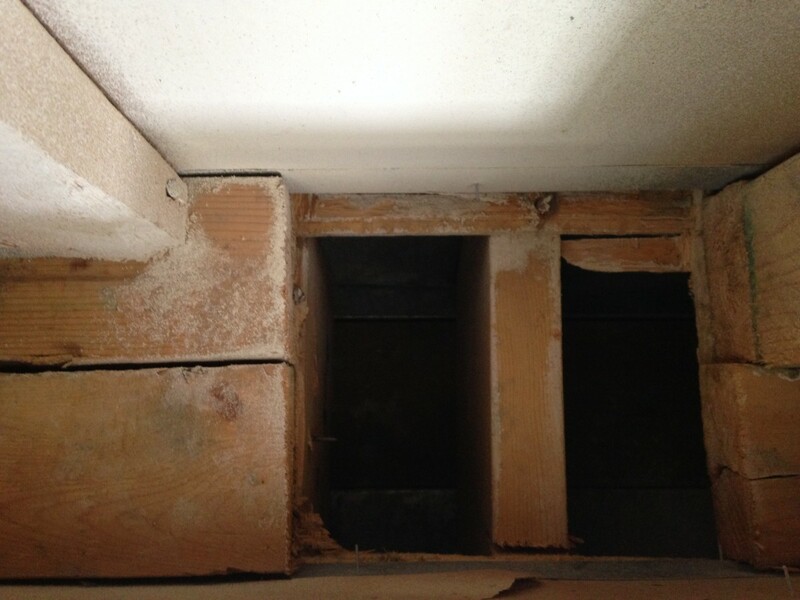 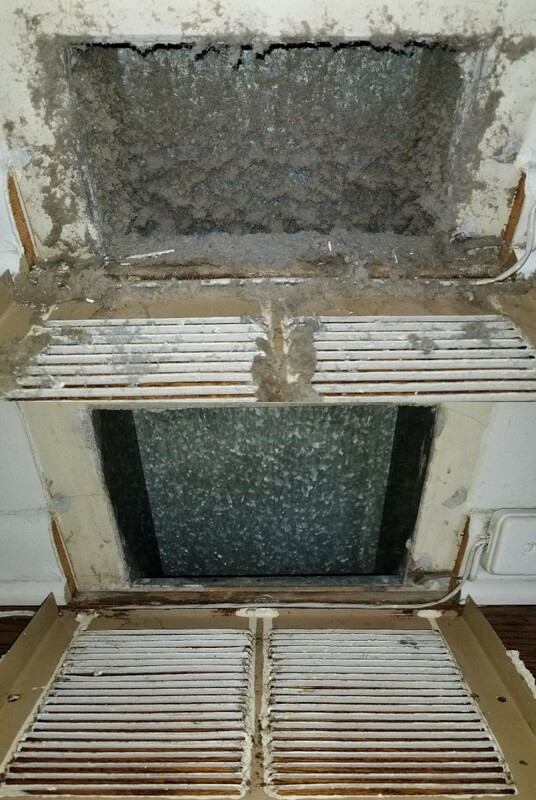 These before and after pictures give you an idea of how dirty the inside of your ductwork can get. 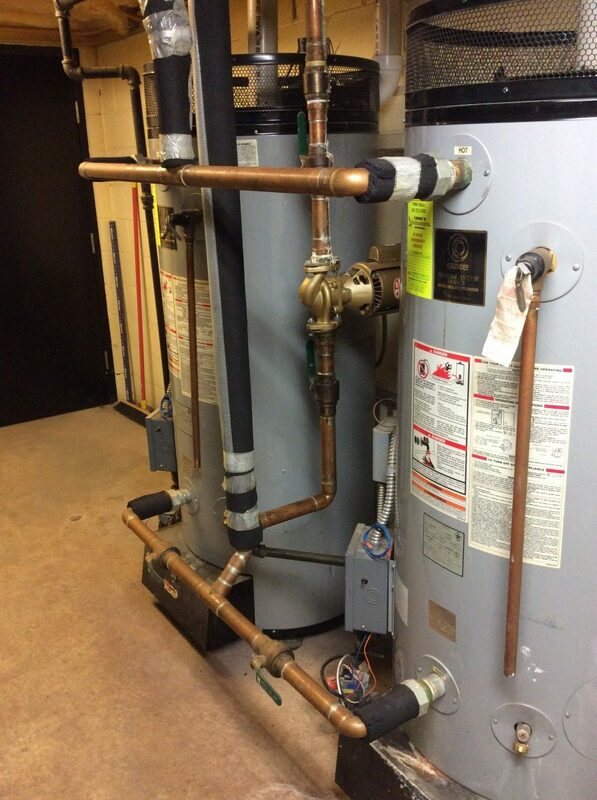 These pictures represent a condo building that originally had 2 domestic hot water heaters. 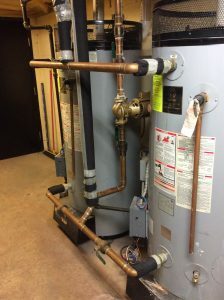 They replaced them with one domestic hot water boiler and a storage tank. These pictures were taken before and after our whole house duct cleaning service. 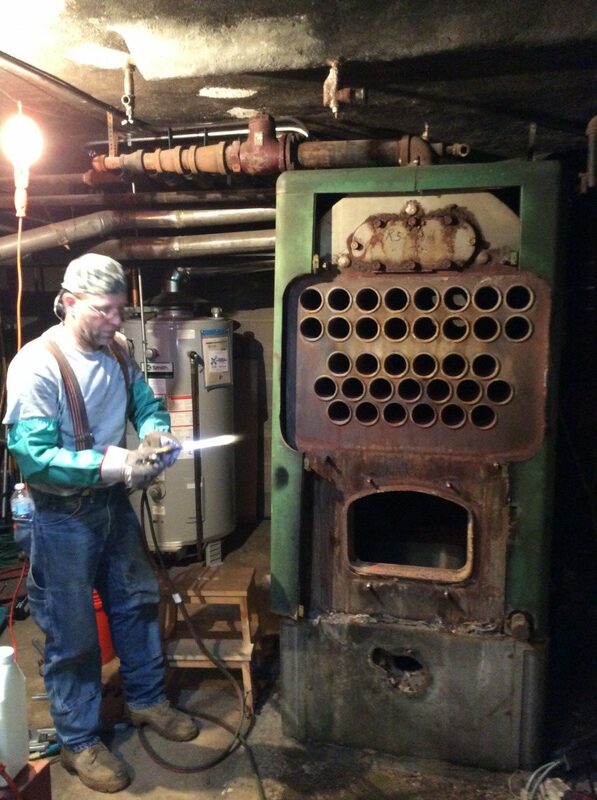 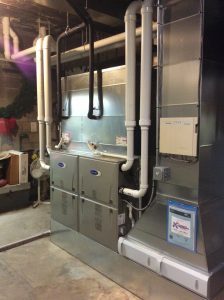 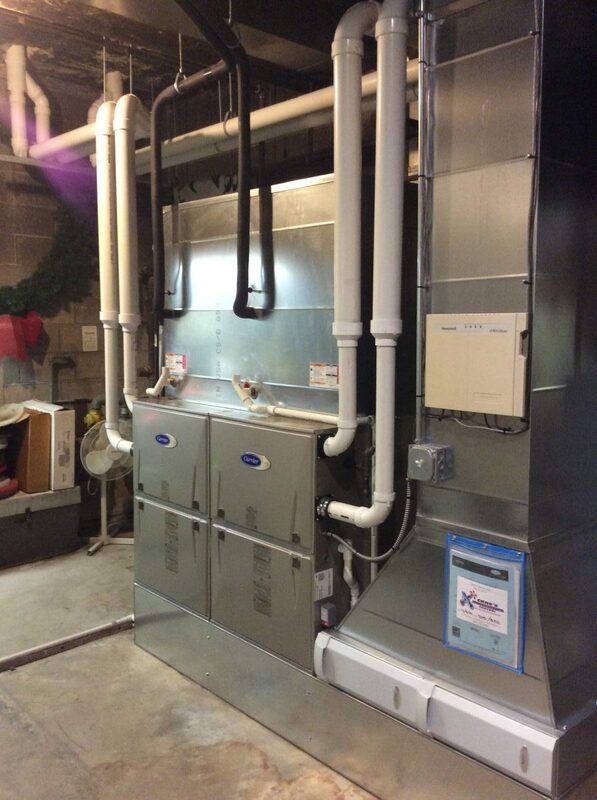 This is the before and after pictures of a twin furnace installation at a church.